If you can't open Store app and receive "The Store app is blocked" message in Windows 10, this simple registry fix will help you to resolve it. We all know Windows Store is one of the most used built-in app in Windows 10. This helps you to purchase and download the apps of your interest from the marketplace. Also it lets you to update your existing apps to latest version. Check with your IT or system administrator. The error code is 0x800704EC, in case you need it. 3. Right click on the Microsoft registry key and select New > Key. 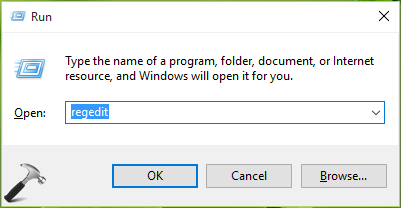 Name the newly created key as WindowsStore. In the right pane of WindowsStore key, right click and select New > DWORD Value. Name the newly created DWORD (REG_DWORD) as RemoveWindowsStore. Since you’ve created the DWORD, it should have its Value data set to 0, which will enable Windows Store on your machine. Close the Registry Editor and reboot to have Windows Store working on your system. Hope this helps! If Store is not working properly, re-register it here. [FIX] Something Bad Happened. Unknown Layout Specified In Manifest. Is there a step missing? I created the new key and titled it WindowsStore per the instructions but obviously there is already a key with that name. Was I supposed to delete the first one? ^^ Nope at all 😊 Yes, delete the newly created value. If the value is there already, simply set it to 0.